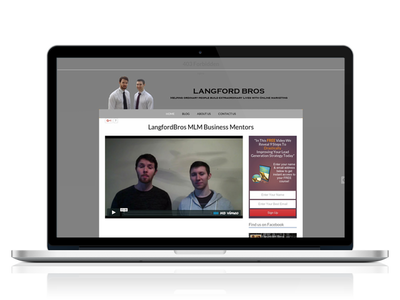 Anthony and Jason are MLM Business Mentors who have created the Langford Bros blog specially to assist those in the Multi Level Marketing business reach success. They needed my assistance with SEO tasks to not only improve their site visibility but also improve its loading speed. In addition they needed a few HTML & CSS tasks to be done to improve the design and fix some display issues. I performed a full site keyword analysis and made sure each page had the right targeting words. A full SEO analysis was also performed and fixed the highlighted issues including the creation of a Sitemap. Installed Google Analytics on the website and integrated Google Console too. Fixed connectivity issues to their social media profiles. Integrated a like widget on the website and installed a Facebook Pixel to track actions. Fixed a subscription pop up, made some changes to site wide headers and fixed other display issues. Installed a caching plugin, fixed some code issues that were affecting the website loading speed and optimised all website images to reduce loading time.